Wall mounted units have modern looks, and reduced size and weight, making them a discreet option for many applications. Pairing them with Seasonal Smart condensers provides a system that is optimised for Seasonal Efficiency. 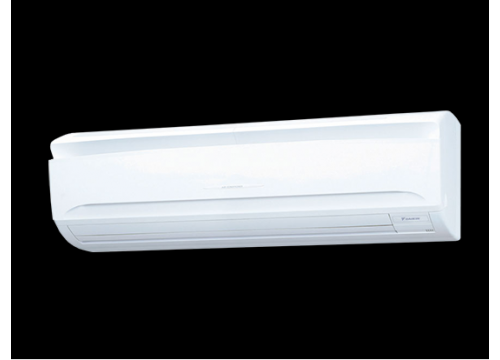 Daikin’s wall mounted unit is ideal for IT and server room applications thanks to the EDP setting which allows constant cooling at low humidity levels, providing ideal conditions for computer equipment. Comfort levels can be improved due to new airflow and air discharge settings, accessed via the wired remote controller. The controller can also be set to restrict room occupants from changing settings, preventing over-heating or cooling.